Steady Swing golf swing training aid frequently asked questions. Can Steady Swing be used indoors? Steady Swing provides the best results when used in bright outdoor conditions. Indoor environments might not provide enough light for the red lenses to produce a clear and focused training window at address. Will Steady Swing interfere with my vision during normal activities like walking or driving a golf cart? No, the red lenses will be positioned in the lower region of your eyewear lenses and therefore will not be in your line of sight during normal activities. Absolutely! 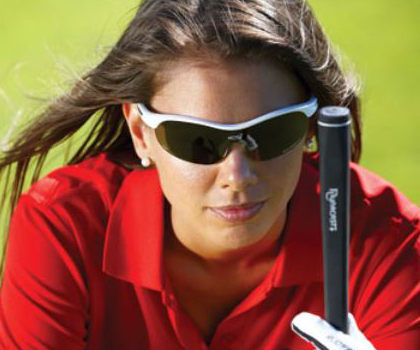 In fact many Steady Swing users do this and keep this set of eyewear in their golf bag for quick convenient use. Will the red lenses distort my vision when looking through them at address? No, they are made from very thin optically clear films which will introduce negligible distortion. They will not magnify your vision or produce a hazy image, provided they are kept clean. Will Steady Swing work with my prescription eyewear? 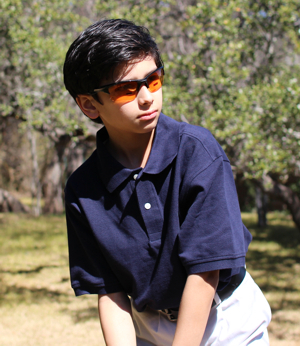 Yes, Steady Swing works with prescription eyewear that you would normally use during play. This includes progressive lens, transition lens, polarized lens, and more! 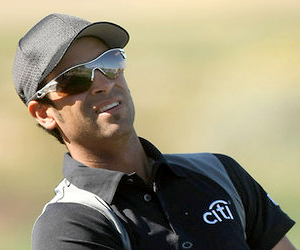 Will Steady Swing work with darkly tinted or mirrored sunglasses? Yes, in full sunlight Steady Swing will produce a vivid red tinted window at address, even when using darkly tinted or mirrored sunglasses. Is it difficult to position the red lenses on my eyewear? Not really, the majority of users are able to do it within a few minutes. The training manual provides detailed instructions on how to do this. Will Steady Swing damage my eyewear? No, the red lenses are made from soft pliable films and the tweezers are made from a high quality delrin material that will not scratch your eyewear's glass or polycarbonate lenses. Will Steady Swing leave a sticky residue on my eyewear lenses? No! The red lenses contain no adhesive and will leave zero residue when removed. How long will my Steady Swing lens booklet supply last me? The lens booklet contains 8 reusable red lenses which should last many years under normal use. golfers of all ages and skill levels.